Pigment printed sumi-e (hand-brushing) style design. Manufactured by "Shikisaido" (Japanese traditional crafts shop) in Shizuoka Precfecture. Notice 3: If you are looking for an approximately 100 cm long Kendo Men tenugui, please check the dimensions listed below. Most of our tenugui are 90+ cm long. 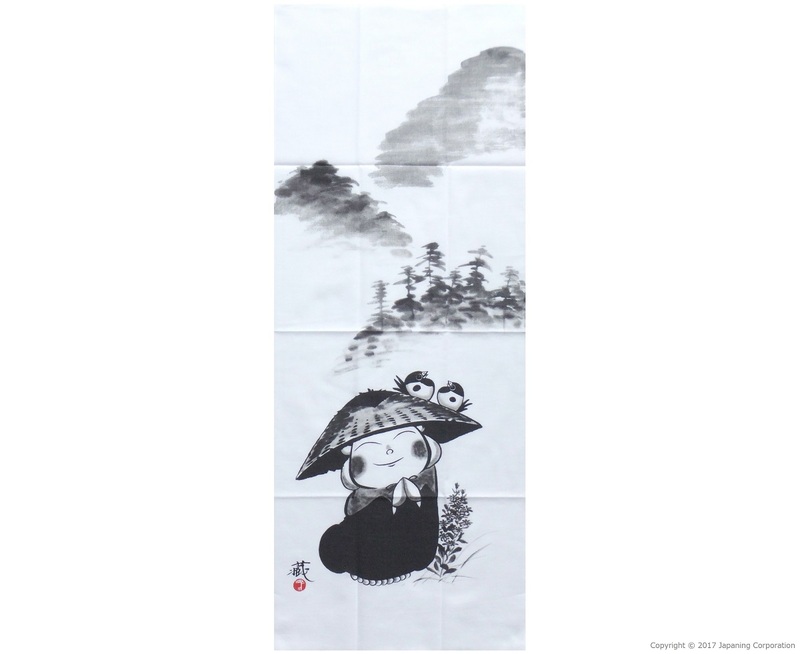 90cm length tenugui would be still good for kids and ladies, but 100 cm length may be more suitable for adult men. All of our tenugui are created by "Chu-sen" dye (not pigment printing) method and they remove sweats very well, even if the design looks decorative. OPTIONAL ACCESSORY - Tenugui displaying rods sold separately HERE. These rods are only for vertical design tenugui. This is our suggestion for dressing up your room with a tenugui. Thank you for your attention!